Hello all you fellow gossipers! 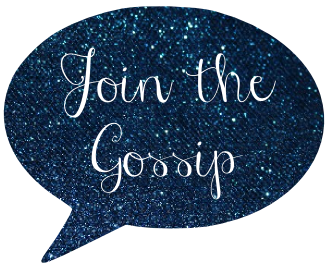 This might be the one and only case where being called a gossiper is a fantastic thing?! Anyways, I'm Christianna and I rant and rave over at my little blog "The Girl With The Blue Bow"! Feel free to stop by and join in the party going on over there! There might even be balloons! Lee spent the better part of his childhood living on an American compound in Saudi Arabia with his family. He had to loose 25 pounds for his role in "Soldier's Girl". He has a huge love for travel. He is 6 feet and 3 inches tall! He keeps his private life private! King Thranduil in "The Hobbit: An Unexspexted Journey"
Garrett in "The Twilight Saga: Breaking Dawn - Part Two"
Garrett in "The Twilight Saga: Breaking Dawn - Part One"
Brady Sacks in "When In Rome"
Michael in "Miss Pettigrew Live For A Day"
Richard Hayes in "The Good Shepherd"
Calpernia Addams/Scottie in "Soldiers Girl"
Well there you have just a little bit of Lee's work to look into! If nothing else give "Pushing Daisies" a shot! It's so quirky and strange and wonderful! Just like Mr. Lee Pace! Are any of you fans? Or what is your favorite role he has played? So, this is goodbye for now, and once again I'd like to thank Leeann for inviting me to share this fellow with all you great gals! I LOVED this guy in Pushing Daisies and nearly forgot about him until this morning... thank you!!! I don't know him very well, but he reminds me of James Dean! Love! I love him...what a cutie! This is the first time I've heard of this cutie. I haven't seen any of the Twilight movies. he is very handsome! I have to give Pushing daises a shot. Everyone raves about that series. Love him! I am so sad that Pushing Daises is no longer on...he was so cute on it! Handsome choice! 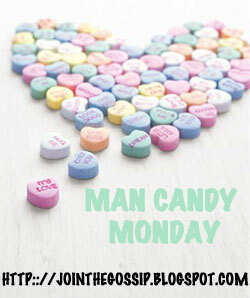 I missed getting my MCM post up today, it was a CRAZY day!!!! Mmmm, yes, please! He's absolutely gorgeous! Love this post, Christianna! He's so handsome! He's gorgeous, I loved him in Miss Pettigrew Lives For A Day. I had no idea he was in Twilight Breaking Dawn, now I'm very excited to see it. i hated it so much when they canceled pushing daysies... it was one of my fave shows... he is def major man candy! Thanks ladies! I'm glad there are some other "Pushing Daisies" fans out there! Or just Lee fans! Happy Monday to all of you! LOVED him in "Pushing Daisies". He is just all kinds of adorable. And those eyes, oh.... make me swoony! Plus, he's going to be in the Hobbit?! Double win!